17 June 2015. 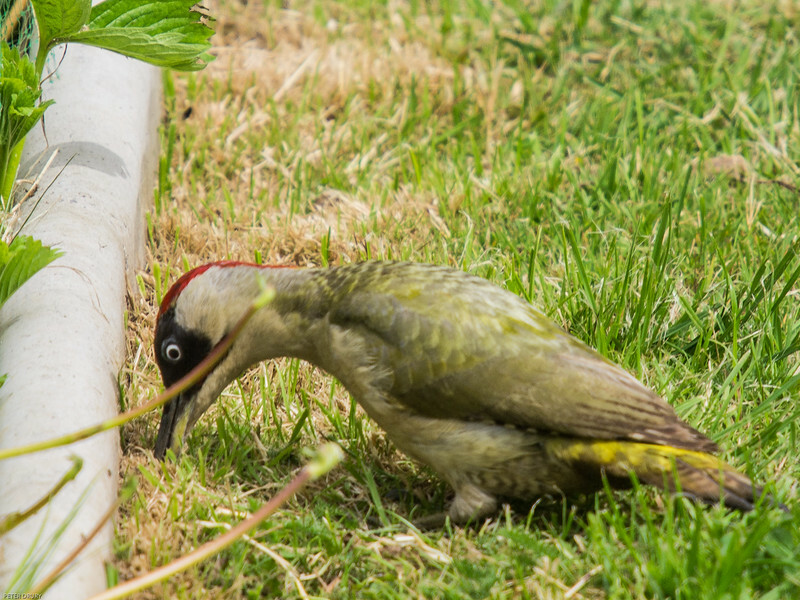 Green Woodpecker in my garden. Hunger wins and he returns to the ants nest.